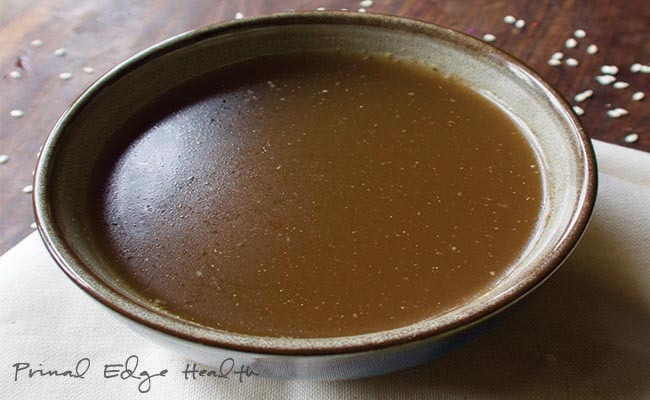 This quick tutorial will walk you through the process of making your very own keto soy sauce alternative at home. The recipe asks for a handful of ingredients, most of which you probable already have on hand. From start to finish, you’ll spend about 20 minutes of prep and cook time before walking away with a fresh batch of zero carb, Asian-inspired sauce. Is Soy Sauce ok on Keto? Truth be told, a splash of soy sauce every once and a while won’t kill your progress or wreck your health. If you’re out at sushi and want to dip the sashimi for the quick swim in the sauce, go for it and enjoy it. Regular doses of soy aren’t recommended for a ketogenic diet. It’s a higher carb food, usually very processed, and just isn’t that good of quality to begin with. 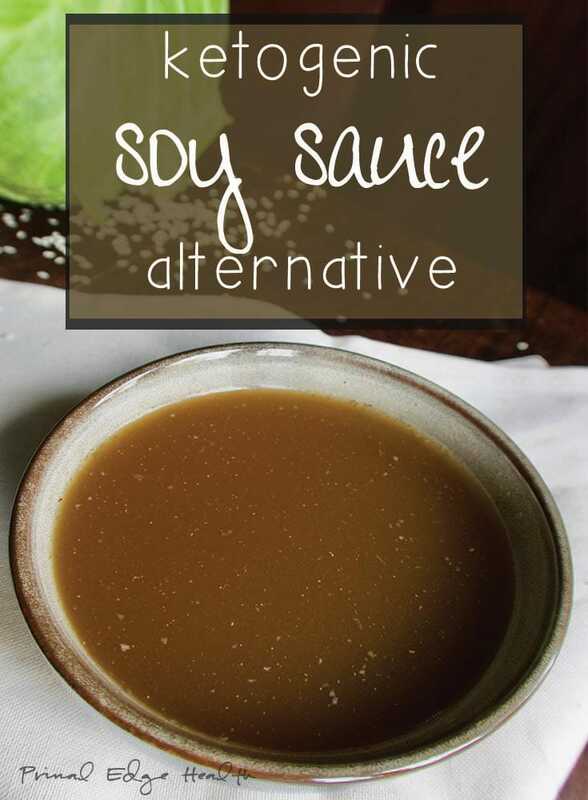 Making a homemade keto soy sauce alternative replicates all the best flavors from traditional soy sauce and offers a saucy side with real nutrition. If you are allergic to soy, this alternative will be good for you too – it’s sugar and allergen-free! The sauce is made from the “sap” (actually coconut-blossom nectar) of coconut palms. The sap is fermented and then blended with sea salt. Found at Asian grocers and specialty markets. Thai Kitchen makes a blend with no preservatives, stabilizers, or chemical flavorings. Fish sauce is a condiment used as a staple seasoning in Southeast and East Asia. The sauce is made from fish coated in salt and fermented for a few weeks and up to two years. If you find a brand with no sugar, that will be best. If sugar is used, check the total calories per serving on the nutrition label to confirm the amount is minimal. 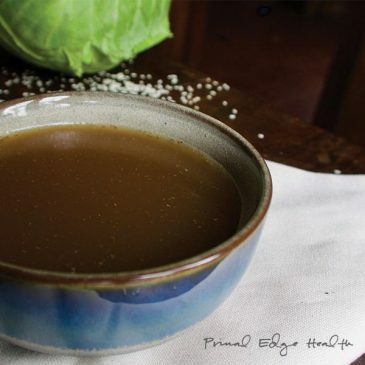 Like many of my day to day ketogenic recipes, this keto soy sauce alternative does not call for any special ingredients or fancy equipment. I’m all about simple, staple recipes! 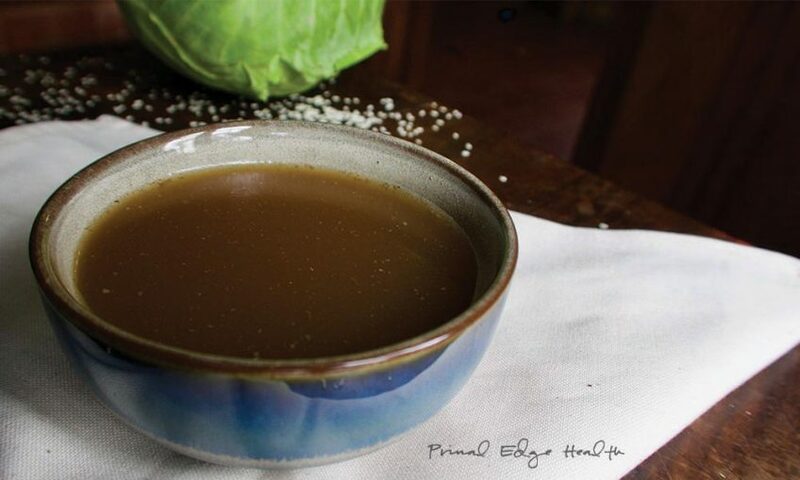 1.5 cups bone broth <-- learn to make your own! Add all ingredients, except salt, to a saucepan and warm over medium heat. Bring to a simmer and maintain a gentle boil until the liquid has reduced by one third, about 15 minutes. Cool slightly, taste and salt as desired. Transfer to a bottle and store in the fridge for up to one week. Shake well before using. After cooling, you may see it gel up. This is due to the broth which becomes jelly after chilling in the fridge. Pull the sauce out ahead of time and it can come to room temperature while you make your food or if you prefer, warm it slightly by placing the bottle in a pot of water over low heat. Enjoy maximizing nutrient density in your daily diet? Get The Ketogenic Edge Cookbook! It is a great kitchen resource and inspiration for low-carb, ketogenic, and paleo cuisine! Available only in our shop – come and support our work! Check out the free preview here. Tristan and Jessica develop simple recipes and provide practical advice so others can thrive on low-carb, ketogenic, and carnivore diets.